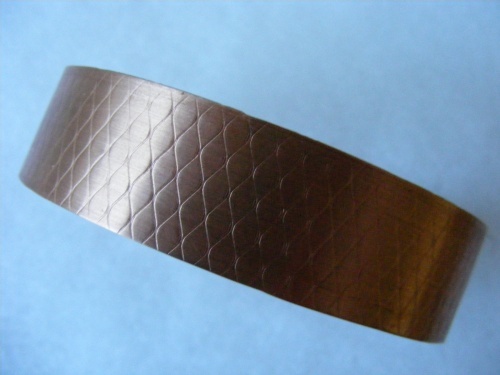 This cuff measures 3/4" wide and has a print on it to resemble small diamond shapes. I got the print from running the copper through my rolling mill and making it a unique piece. Copper is said to help with arthritis. Piece will fit a 7" to 8 1/2" wrist.